"Indissolubility, the incapacity of being dissolved, is the truth of giving." Indissolubility is the joyous affirmation that nuptial love is not at the mercy of spouses’ moods, nor of the unforeseeable good or bad circumstances spouses may face, nor of the changing ideas or perceptions they may have of the “intimate communion of life and love” they are given to live.1 That the spousal love of a man and a woman is indissoluble means that love can continue to grow and spouses can be faithful through all the vicissitudes of married life. The glad tidings that nuptial love does not dissolve, however, seem to be constantly contradicted by human experience. Considering the fragility of human freedom, the unforeseeability of history, and the tendency to encapsulate the meaning of love in a narrow idea that one can master and to eliminate whatever cannot be folded into this partial perception, can indissolubility really define married love? Are not, rather, the great number of divorces and the constant practice of adultery tacit proof that indissolubility jeopardizes the fulfillment of one’s existence? Doesn’t the sacrifice required by indissolubility reveal how far it is from being a romantic dream? Furthermore, if one is aware of the irreducible otherness of the spouse and the immense responsibility of conceiving and educating children, doesn’t indissolubility appear to be excessive? Looking at these challenges, then, is it really honest to claim that witnessing to the “good news of the family” requires embracing an indissoluble and exclusive communion of love?2 Would it not be better to simply acknowledge that the spouses’ union of love and the total and personal gift of self to which they are called depend only on what lies within the capacity of their freedom? And if this is the case, would it not then be truer to grant that, no matter how painful the transition might be, sometimes nuptial love has to be lived with a different person from the one with whom one began? 1. Catechism of the Catholic Church (hereafter CCC), no. 1660; Gaudium et spes (hereafter GS), 48, 1. 2. 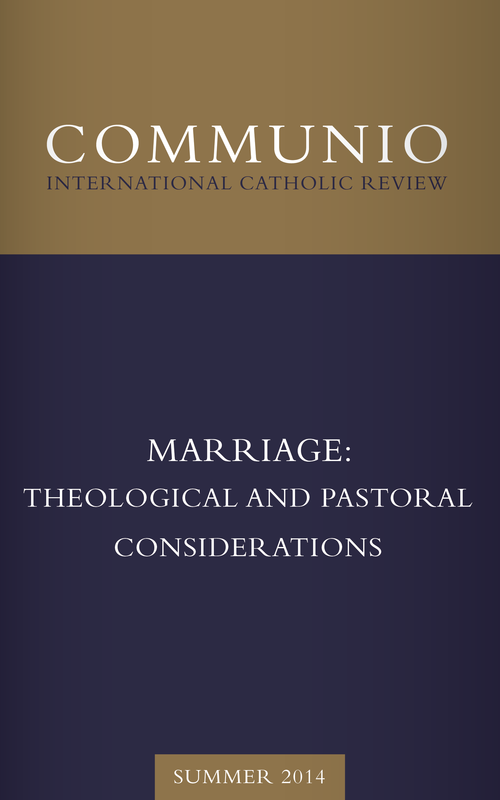 Familiaris consortio (hereafter FC), 85, 51; Evangelii gaudium, 66–67. 3. Lumen gentium, 41, 48–51.